Registration link below.RSVP required by 10/25. What keeps students coming back for Shabbat dinner at Chabad? For some, it’s the delicious home made food, provided at no charge. For others, it is the intellectual stimulation provided by the learning and discussion. Yet others enjoy the feeling of family,community and camaraderie. At Chabad, there is never a fee to participate, allowing everyone to join us comfortably and frequently. We work towards this goal with everything we do, accepting students at any level of Jewish commitment or interest. To continue our important work we need the partnership of friends, parents and alumni. 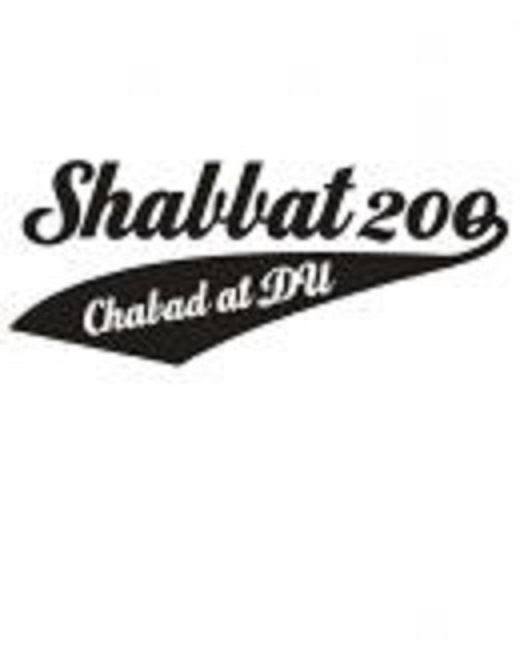 Shabbat 200, now celebrating its' 16th year,is Denver’s largest Jewish Student gathering and will consist of an explanatory service of rituals and customs and a catered Shabbat dinner. This year,the event is being held in conjunction and sponsorship by the Center for Religious Services.Hillel at DU is also helping to coordinate this effort.